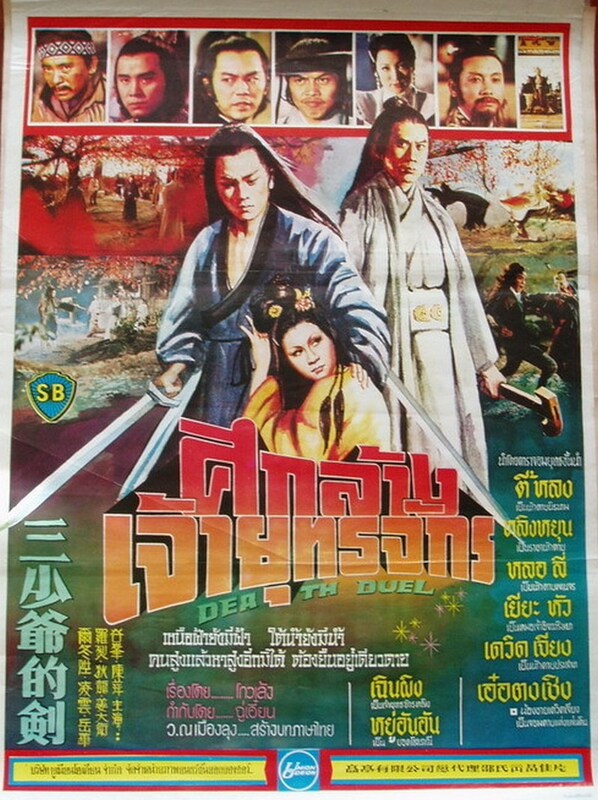 This 1977 Shaw Brothers film directed by Chu Yuan ( Chor Yuan) stars Derek Yee,in the lead role. It’s actually one of the later Shaw Wuxia Pictures and did not fair as well at the box office. Had been released in the early seventies or even late sixties. Which is quite surprising given the cast which included Ti Lung,Lo Lieh,Ling Yun and newcomer Candice Yu. The film revolves around the famous sword Mansion which is residence to the Third Master a brillaint swordsman who has never been beaten. Now a certain Mu Yung Chu Ti (Chan Ping) has the notion to rule the world under a dark cloud .To do this she needs to force a duel between two of the supreme swordsman .She coaxes swordsman Yen Shih San (Ling Yun) to go and challenge the Third Master at the mansion.. If he wins she will have the help of a top swordsman and her fears of intervention by the Third Master will be over. But when Yen arrives at the mansion he is told the master has died and is shown a shrine to his death .To late Yen leaves . The truth be told the Third Master has faked his death and gone from the Mansion to have a normal life as he is fed up of killing challengers who arrive to compete against him. We are then introduced to the character of Ah Chi a wanderer and loner by nature .On his travels he meets a mute who befriends and falls in love with Hsiao Li ( Candice Yu) . But unfortunately for Ah Chi he has a past and one can not escape his past ( well not in this case) . By revealing his martial arts ability in a couple of incidents ,people get thinking about him ,he tries to move on ,but Mu who is watching him tries to kill him . Now all poor Ah Chi wants is to help his friends he has made and stay with Hsaio Li. But Poisoned and needing help he is told to go and see a recluse living in the woods to heal his wounds . On his travels he will meet some famous fighters who are also living a simple life as opposed to going about fighting people. ( one played by Ti Ling) . But the films main plot will come together when Ah Chi meets the recluse who happens to be Yen who left after discovering the Third master was dead.. Now it is Yen who saves Ah Chi who now feels slightly guilty when Yen tells him how the Third Master had slaughtered his friends and revenge was his only hope ,but now he's dead he has no meaning to life. 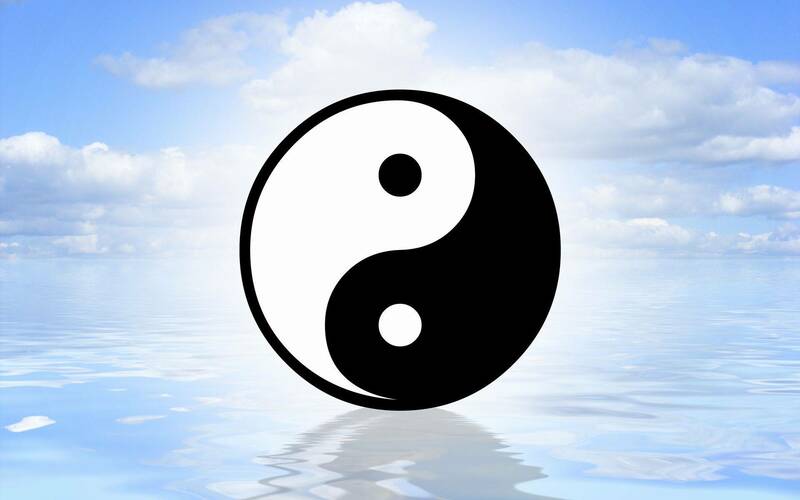 But Yen will find out that the Third Master is not dead and also that the Third Master is in fact Ah Chi . 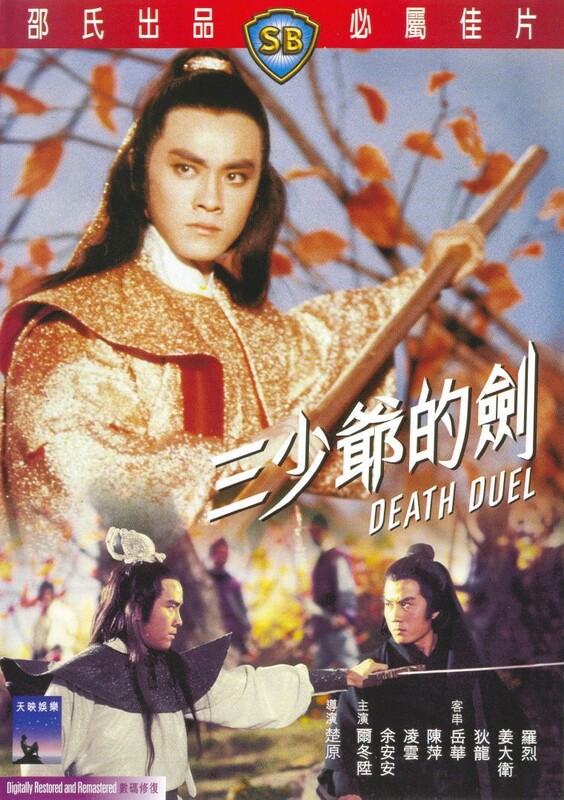 Now with a lot of these old Wuxia films from Shaw ,they had quite convoluted plots with twists and turns ,though this one is a simpler affair .there's still quite a lot to contend with. You have Mu the main villain in the film using everyone and hiring killers like the Yu Mein Brothers. You now know the outcome will result in Yen facing of against Ah Chi .But also Mu will get her comeuppance . 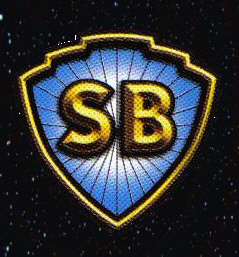 As with all Shaw Brothers films the quality is the leading factor here ,the film is shot beautifully and the action is fluid and comes at regular intervals. Though this is a Wuxia film it does have a fair amount of Kung Fu within it as Ah Chi uses unarmed combat to fight most lesser foes and dons his sword for the more seriously dangerous enemies. 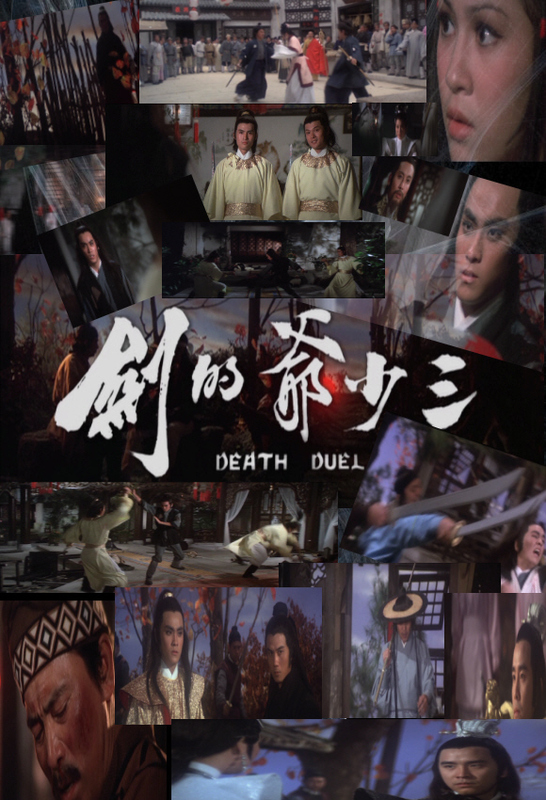 Death Duel is a Classic Wuxia film with a more modern feel to it ,which I guess was done to fit around the new style of Kung Fu flick which was being around the end of the 70's and beyond. Front cover of Celestial pictures release on Region 3.